Perfect size and the right amount of programs for a variety of meals to feed couples or small families. The 6-quart pot fits in standard size dishwashers, making cleanup a breeze. The Duo cannot be used for canning. We also read that 6 quarts are too much for one person unless you really love leftovers. Some customers love the new LED display. Others hate it. A cooking graph displays the progress, it adjusts to altitude, and even the preset programs can be customized with the dial. Read the instructions and call customer service before tinkering with the sealing ring. Although the Lux is missing an egg program, many customers have boiled eggs in the Lux 60 and it appeared to be life-changing. We read a few Instant Pot reviews about a less-than-perfect sealing ring. You’ll dish out more money but feed the most mouths with the 8-quart pot. This large pressure cooker feeds a family of five. More functions and buttons could mean more confusion. This is an excellent choice for those on the fence and occasional or first-time pressure cooker users. It’s a just-right size for individuals, side dishes, or small kitchens. Customers have also raved about the soups and stews they’ve made in their mini. Don’t expect to feed the whole family or make an entire roast in this bite-sized pot. Instant Pot comparisons can get messy. 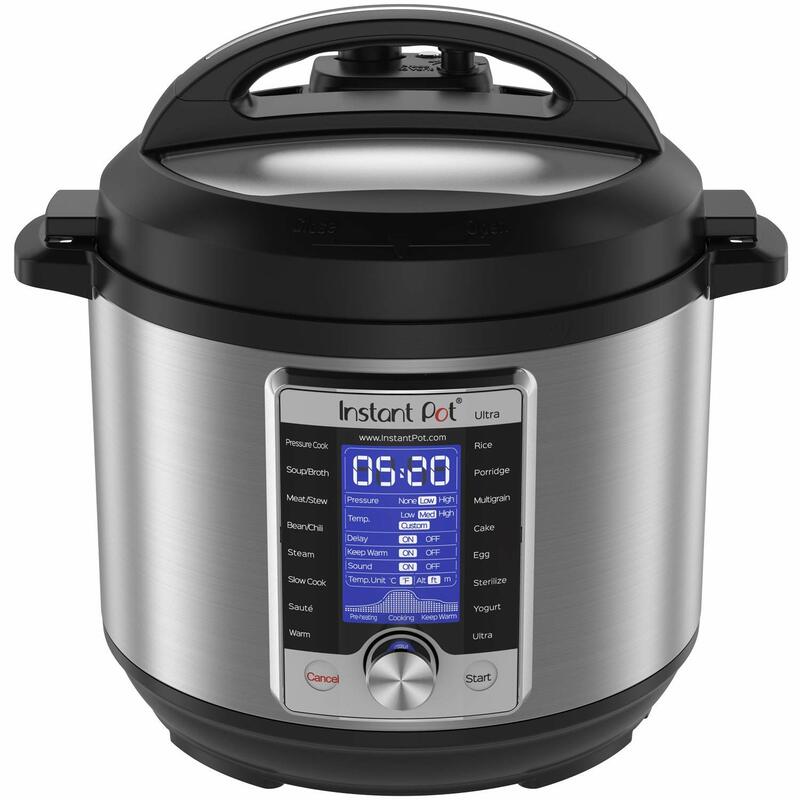 New and improved versions of each of the six Instant Pot models are released regularly. Each pot has a range of six to 10 preset programs in addition to 10 to 13 safety features. To make it all the more confusing, we found a common thread in Instant Pot reviews. Many customers have reported unclear instructions and documentation. 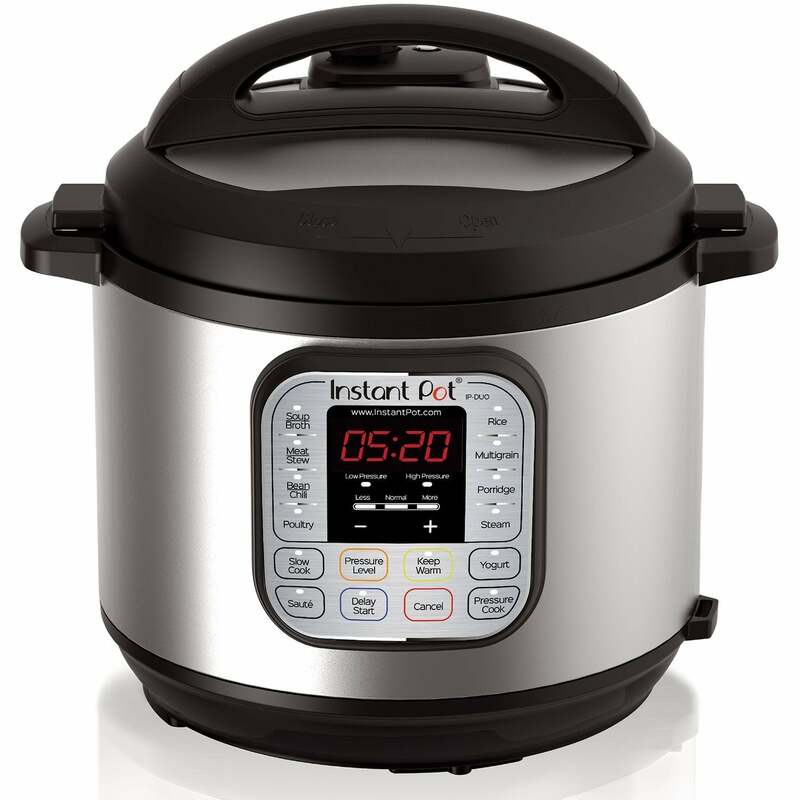 To clear up the confusion, our team read the instruction manuals, brought them into our test kitchen, and pored over verified customer reviews to find the best Instant Pots on the market today. Instant Pots stole the show last holiday season. We were afraid the latest pressure cooker was just a fad that would fizzle out after the New Year, but we’re nearing the holidays again, and the IP game is still going strong. We’re impressed, and so is everyone else. Instant Pots are multifunctional, electric pressure cookers that are designed to save time, money, and sometimes even calories. Starting at a six-in-one model and expanding to a 10-in-one version, it’s hard to find something the Instant Pot can’t do. From soups and rice to eggs and cakes, the Instant Pot can make it. It’s important to note that Instant Pots are not actually instant. You’ll still have to wait 10 to 15 minutes for it to pressurize before cook time starts, and then you’ll have to wait an additional five to 15 minutes for it to depressurize. Despite some wait time, Instant Pots are still real timesavers compared to slow cooking and baking. You’ll also save time thawing frozen food since you can pop it into the Pot straight from the freezer. And, with the seal of a lid and the press of a few buttons, you’re free to do your own thing while dinner cooks in the other room. 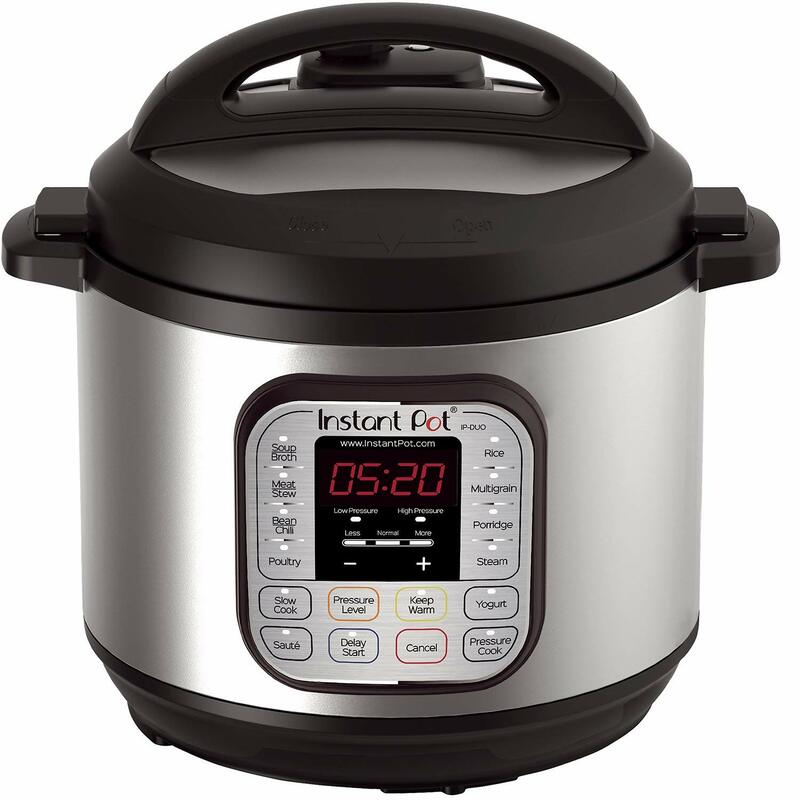 Many customers have mentioned how much money they’ve saved by using an Instant Pot too. Whether it’s switching to fewer and more wholesome ingredients or making more homemade meals, we’ve read review after review about the IP’s high ROI. The newer models—from Duo to Max—have more programs and safety features for faster, smarter, and safer pressure cooking. Pros—You have all of the six essential programs and safety features a pressure cooker needs. Cons—The Lux is the most basic model, so you’ll be missing out on four fancy features of newest Instant Pot. Pros—Yogurt lovers rejoice. You’ll get seven programs with the new yogurt maker function. Cons—If you don’t like yogurt, you can probably stick to the Lux. Pros—This nine-in-one model includes yogurt, egg, and sterilize features. Cons—Again, if you don’t eat eggs every day and if you’re not into canning, the Duo will work just fine for you. Cons—This Smart model has the same programs as the Instant Pot Duo Plus. Nothing too groundbreakingly new here. Pros—OK. We’re pretty pumped about this update. The tenth and newest feature is—wait for it—Make Cakes. You can use the exclusive Ultra function to customize programs. There’s also a new Quick Release button. Cons—If you’re not a baker (or if you’re more of a pie person), you might not be as wowed by the Ultra. Pros—Instant Pot switched up its usual programs on its newest pressure cooker, the Max. The nine redesigned programs include: pressure cook, slow cook, cook rice, saute, warm, make yogurt, soup/broth (with NutriBoost technology), canning, and sous vide. Contrary to its name, the Max uses up to 70% less energy at 15psi. A new automated venting and lid-lock were also added. Cons—Although sleek design, the touchscreen interface might be tricky to use with messy hands while cooking. The company has done a great job at addressing minor tweaks and improvements. It releases new versions of each model regularly. This can get confusing though since these versions are not sold side-by-side. When you buy an Instant Pot, you’ll get the latest version and (hopefully) best iteration of that particular model. It’s important to consider the functions you think you’ll actually use before you buy an Instant Pot. A cheaper, more basic model might be all you need. For instance, if you positively loathe yogurt, the Lux is all you’ll need. At the same time though, you shouldn’t limit yourself to the possibilities of new cooking methods. One fancy function (hello, sous vide) could lead to a whole smorgasbord of favorite dishes. There’s a pressure cooker phobia out there that we need to address. Yes, we’ve heard the horror stories of stovetop pressure cookers of the past. Fortunately, each electric Instant Pot has 10 to 13 safety mechanisms that minimize accidents and explosions. Safety features include but are not limited to a steam release valve that releases excess pressure, an automatic safety lid lock, lid position and leak detections, as well as temperature and pressure controls. The Instant Pot Mini is an option for individuals or those with a small kitchen since it won’t take up much counter or cabinet space. With a Keep Warm function, the mini can also be used at parties to hold dips or side dishes. The Lux and Duo are available in a five-quart size while most Instant Pots are available in the six-quart size. Five to six quarts should feed two to three people, making it a popular pick for couples and small families. An eight-quart is the largest size available. You should be able to feed a family of five with this size. You’ll pay for the size and number of programs you want when you buy an Instant Pot. The Lux Mini—the smallest and most basic model—starts at $65. On the other end of the spectrum, the Ultra 8-Quart costs $180. You can expect the cost to rise in increments of $20 to $30 per model and per size. You can make just about anything in an Instant Pot from breakfast through dessert, frozen to fresh. The Instant Pot is supposed to be a timesaver and allow home cooks to multitask while dinner cooks in the other room, but there are a few tips and tricks you should know before you try your first pressure cooked meal. Don’t expect it to be truly instant. The Instant Pot takes 10 to 15 minutes to pressurize before the cooking actually begins. Then, it takes five to 15 minutes to depressurize after cooking ends. That means a 30-minute cook time will actually take 45 minutes to an hour. Do skip the prep work. Go ahead. Throw frozen food right in, even chicken, and don’t worry about soaking beans or grains either. Don’t hesitate to try new functions and foods. If you have one of the older versions of the Instant Pot, you might be missing the egg and cake programs. Just because you don’t have these specifically programmed buttons doesn’t mean you can’t make it by manually setting your Instant Pot. We’ve heard the Lux is great at hard boiling eggs and making cheesecake, and it’s the most basic model on the market. Do include enough liquid. At least a ½ cup. If you have a larger Instant Pot, you’ll need more liquid than some recipes call for. The Instant Pot can’t pressurize without liquid. Don’t forget to skim over safety. Equipped with 10 to 13 safety mechanisms per model, the Instant Pot is a totally safe kitchen appliance to use every day. However, just because the safety features exist doesn’t mean they are automatically activated. Use the arrows to properly align and lock the lid before programming and allow the cooker to depressurize before attempting to unlock the lid. Do read all of the instructions and start with the recipe book. More functions and buttons can lead to more confusion. Combine the technical confusion with the natural hesitation toward pressure cookers in general, and you’ve got a recipe for an unused Instant Pot with a side of dust. Expect to spend some time setting up and familiarizing yourself with the Instant Pot. Read the instructions thoroughly, watch video tutorials online, and follow the recipe book when you’re ready to make your first meal. Do get button-happy. You can use multiple functions per meal. For example, you can start with the Saute program for veggies (adjusting the temperature whenever necessary) and then switch over to a Manual Pressure Cook when you’re ready to add the rest of the ingredients. Then, use Keep Warm while your family digs in and helps themselves to seconds. Do use the Instant Pot as a slow cooker—if you want. An Instant Pot could replace your slow cooker entirely. Its Slow Cook function heats the contents of the pot but does not pressurize it. Compare the temperature settings to your slow cooker when you try slow cooker recipes in your pressure cooker. An Instant Pot is a multifunctional, electric pressure cooker. There are three Instant Pot sizes— three, six, and eight quarts—and several different models that each have six to 10 preset programs for sauteing, simmering, and even baking. Although many people use it primarily for its pressure cook feature, you can use it as a slow cooker too. 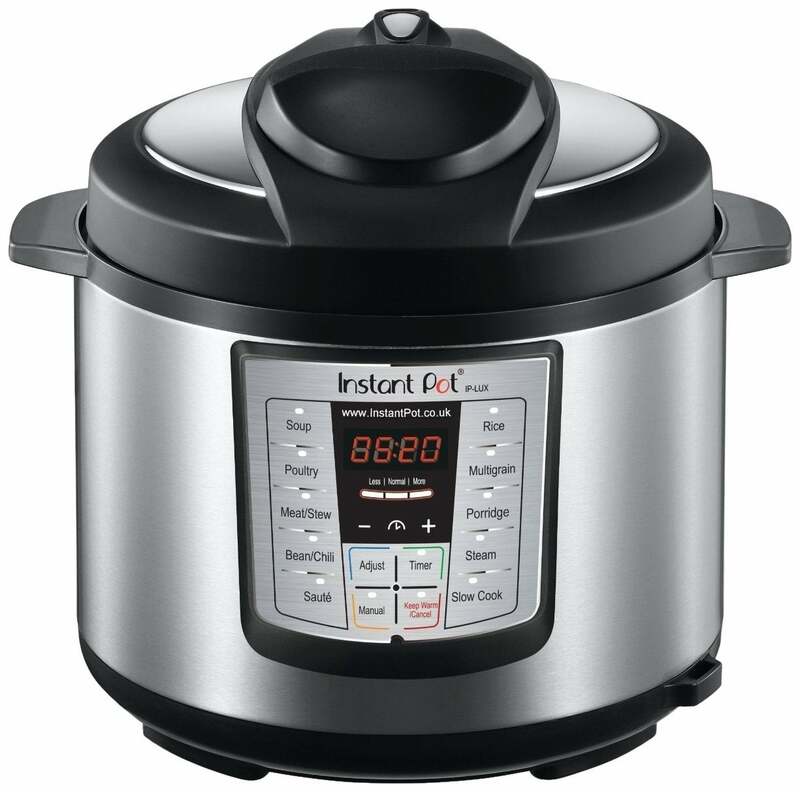 Instant Pots range from $65 to $200. The price varies per model and per size. Can an Instant Pot explode? Technically, yes, an Instant Pot can explode if the lid is removed before all of the pressure is released. However, possible explosions are not as extreme as you may think. Rather than the entire appliance shattering—stainless steel and all—it is more probable (although still unlikely) that the contents (i.e. hot liquid and steam) would cause the most damage. Is the Instant Pot made of non-toxic materials? The Instant Pot is made of food grade stainless steel, which is a safe, non-toxic material that many kitchen appliances are made of. The cooking surfaces and lid are all lead-free with no chemical coatings. Can you use an Instant Pot as a canner? 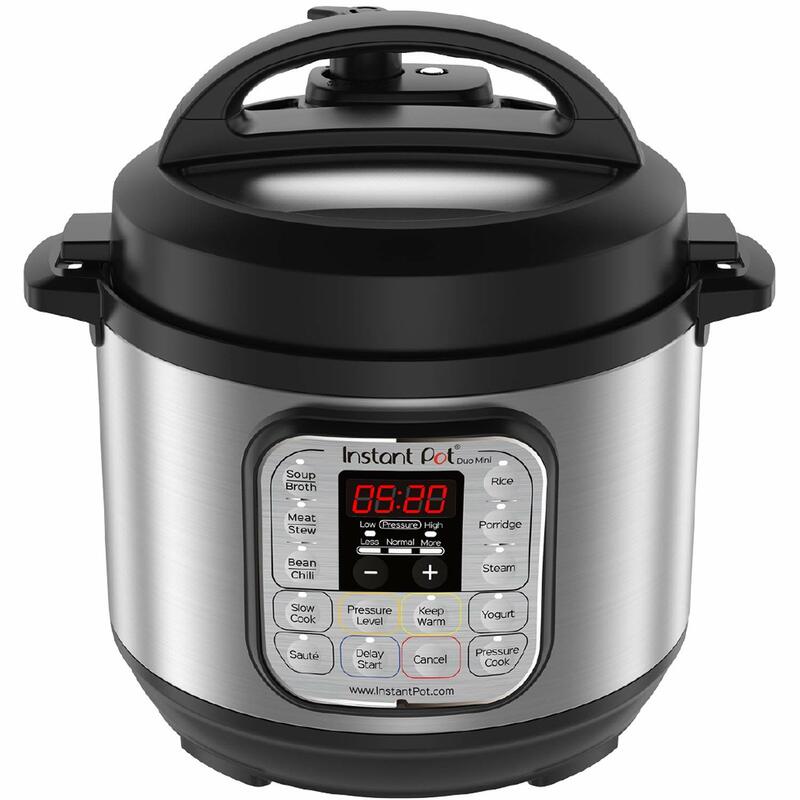 The Instant Pot has not been tested by the USDA to determine its safety for pressure-canning; however, the Sterilize function can be used for low-pressure, water-boiling canning. Here are the best dehydrators along with a full how-to guide for choosing a dehydrator, using it, and storing and enjoying dried snacks. We tested ice cream machines with consistency, usability, and storage in mind because we know ice cream should be a treat—not work. Read our ice cream maker reviews and how-to’s to find the best one for you. We put together a buyer’s guide to the different fuel types and flavors that smokers yield plus the features you should look for when buying a smoker.